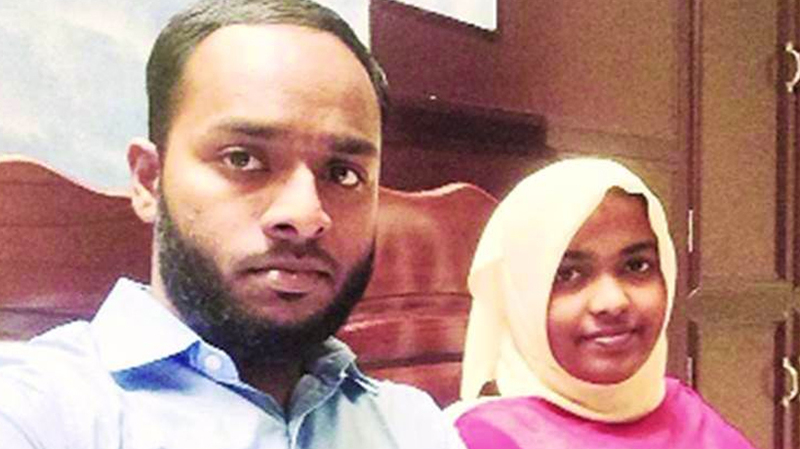 Kottayam : The NIA will quiz a few IS sympathisers to know whether ISIS had links with Shafin Jahan who was in the news for marrying Hadiya, a Hindu who embraced Islam. The NIA special court here allowed NIA sleuths to question Manseedh and Shafvan P at Viyyur Central Jail in Thrissur on Monday. The two were among others who attended a clandestine meeting of a Kerala terror module named Omar Al Hind of IS at Kanakamala in Kannur in 2016. Shafin was a member of the WhatsApp group started by Manseedh, NIA sources said. He also had acquaintance with Shahvan. Hadiya’s father had accused Shafin of having links with the ISS when he sought separation in Kerala High Court of his daughter with Shefin. The court had nullified their marriage and sent her with her father. This was challenged by Shafin in the Supreme Court. The investigation into Shafin’s antecedence is sequel to Hadiya’s father’s charges against him.